Amazon is testing out meal kits with pre-measured ingredients delivered to you. Amazon has entered the meal kit space -- but how does it compare to the other meal kits on the marketplace? Meal kits are sets with all the ingredients you need to cook dinner: planned, portioned and delivered to your door. All you need to do is cook and eat. 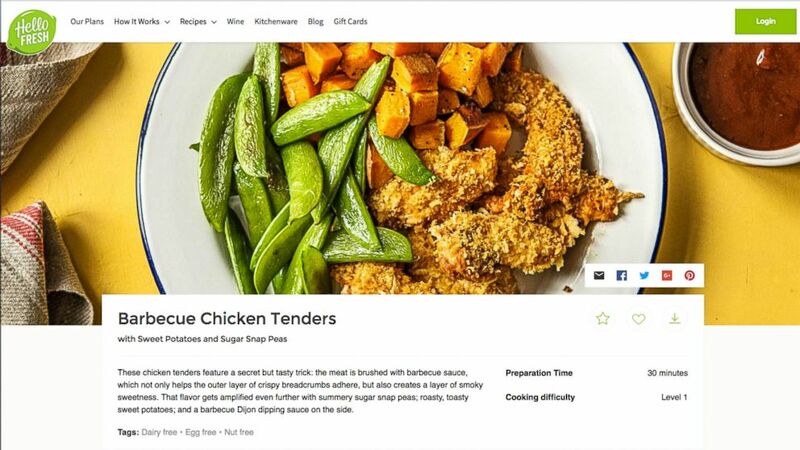 Companies like Hello Fresh, Plated, Purple Carrot and Blue Apron have made this service popular for those too busy to shop, looking for foolproof recipes or wanting to expand their dinner repertoire. (Hello Fresh.com) "GMA" ordered the Barbecue Chicken Tenders from Hello Fresh. Now Amazon is announcing their foray into meal kit deliveries. Currently, the Amazon meal kits are only available in the Seattle area, but with their acquisition of Whole Foods and the investment in their grocery delivery service Amazon Fresh, the company is also clearly aiming at the estimated $1.5 billion a year meal kit industry. 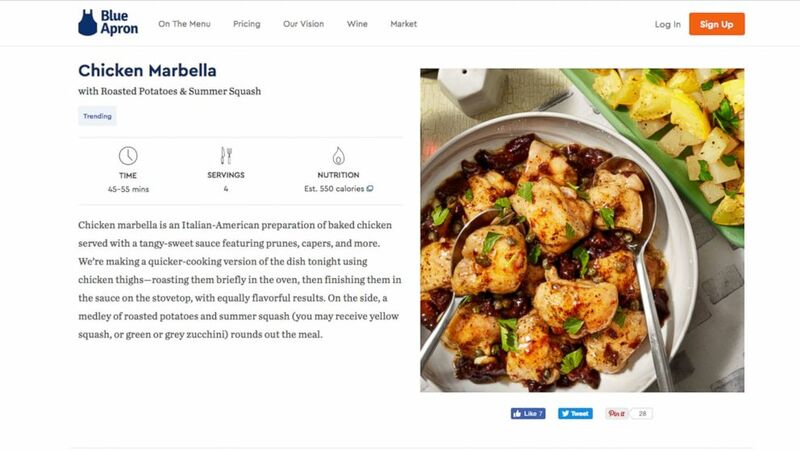 (Blue Apron.com) "GMA" ordered the Chicken Marbella meal from Blue Apron. We met up with a Seattle-area family, Mike and Becky Kelly and their two kids, Maggie and Leo, to compare Blue Apron, Hello Fresh and Amazon’s meal kits. We invited Matt Weinberger, a senior reporter for Business Insider, to help us judge the services on four criteria: ordering convenience, price, ease of cooking and taste. We cooked chicken tikka masala with Rice from Amazon, barbecue chicken tenders with snap peas and sweet potatoes from Hello Fresh, and chicken marbella with summer squash and potatoes from Blue Apron. (ABC News) "GMA" ordered the Chicken Tikka Masala dish from Amazon's new meal kit delivery service. Most meal kit companies require you to subscribe to their service. You sign up for two to four meals a week delivered every week on the same day. This is how both Blue Apron and Hello Fresh work. You can pause the service if you go on vacation or cancel outright, but you cannot order only one meal when you need it. Amazon is completely different. 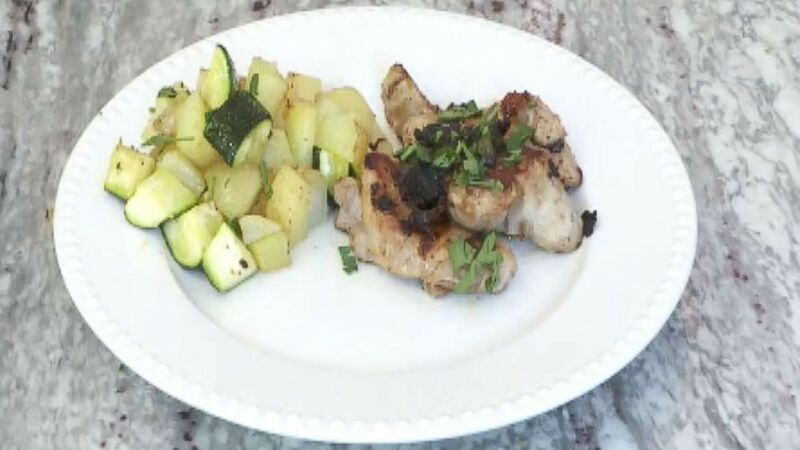 You can order a-la-carte, one–time-only meals that are delivered two days after ordering. 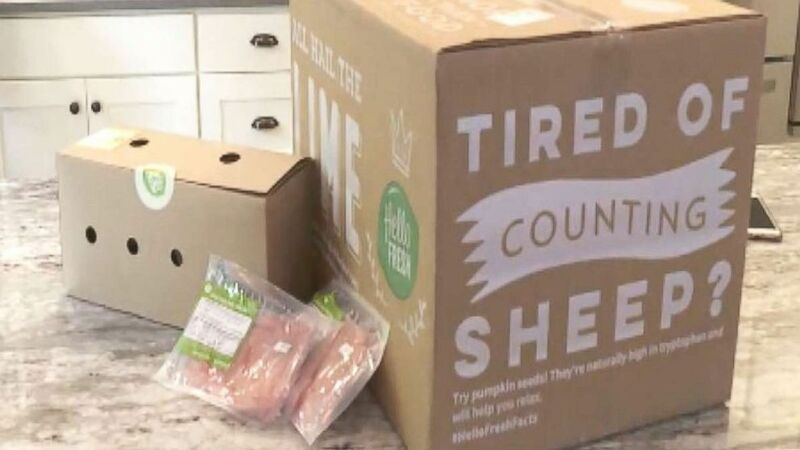 (ABC News) Here's how the Hello Fresh meal kit arrived. All three services delivered the meals in the windows of time they promised. All were well-packed with ice packs and insulation. 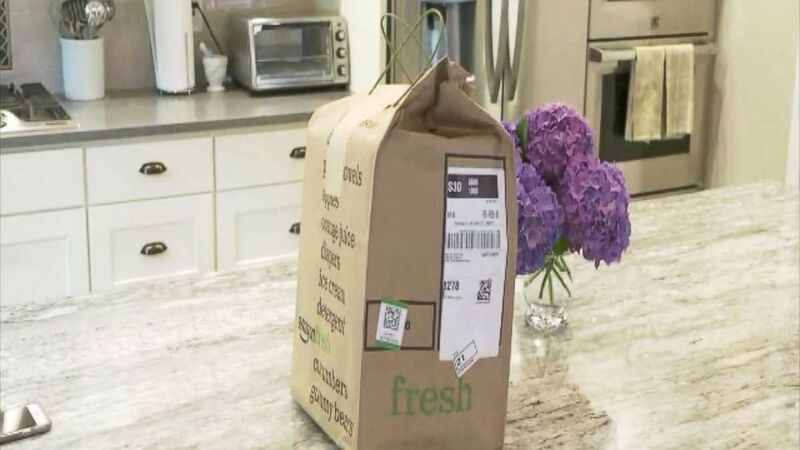 Amazon offered a two-hour window of delivery while Hello Fresh and Blue Apron had delivery days where the box could be dropped within 8- to 12-hour windows. All the deliveries seemed like they could withstand a few hours on your doorstep given that they had ice packs inside. Weinberger's top pick for ordering convenience was Amazon, telling us, "The fact that you don’t have to do a subscription, that alone is a real game-changer. You order them as you need, as many as you need, when you need them, which is very different from a Blue Apron or Hello Fresh. You have to commit to a certain number of meals every week. That’s not great for people. It’s like a gym membership. You sign up and you never go." Note: Different meals and plans have different costs. The price is the most complicated aspect of comparing the meal kits. You either sign up for a subscription or you buy into Amazon’s grocery eco-system. Blue Apron and Hello Fresh do not charge a delivery fee. But you must subscribe for extended service. To order Amazon meal kits, you have to be a member of Amazon Prime ($99/year) and Amazon Fresh ($14.99 a month). Delivery is free unless you order less than $40 of food; then you’ll be charged $9.99. Weinberger said his top pick for price was complicated. It only makes sense from a price perspective to purchase Amazon meal kits if you have subscribed to their Prime and Fresh memberships for other reasons. And while Blue Apron and Hello Fresh don’t have the membership dues and delivery minimums or fees that Amazon has, Matt says factor in the potential long-term cost of a meal kit subscription if you keep it. The recipe said it would take 30 minutes, it actually took us approximately 45 minutes. Some factors that affected the cook time was that the rice was pre-cooked and the onions pre-chopped. 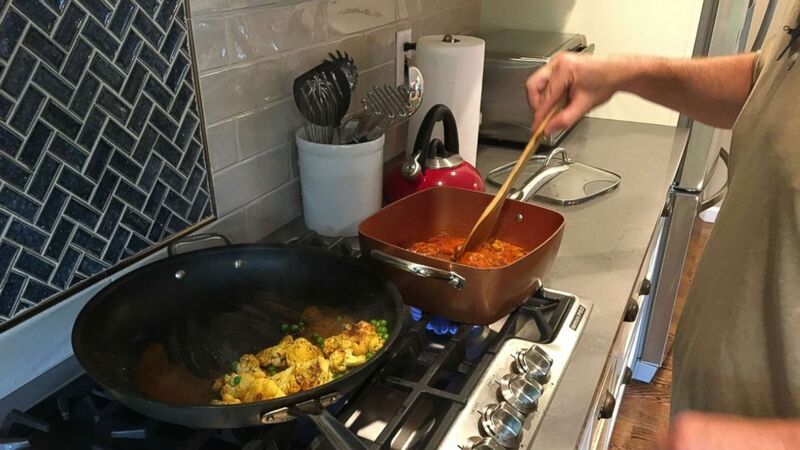 (Courtesy Matt Weinberger) "GMA" tries out Amazon's new meal kit delivery service and prepares its Chicken Tikka Masala with Spiced Cauliflower and Peas dish. The recipe said it would take 30 minutes, it actually took us 58 minutes. Some factors that affected the cook time were that it required minimal chopping and was a relatively simple recipe. The recipe said it would take 45 to 55 minutes, it actually took us 57 minutes. Some factors that affected the cook time were that there was a lot of chopping required and it was a gourmet recipe. The good news is we liked the taste of all the meals. Even the kids said every meal was good (although Leo and Maggie are pretty adventurous eaters). Leo liked the Blue Apron chicken the best, and we all agreed that it had the most sophisticated flavor. The portion sizes on these particular recipes gave the edge to Hello Fresh with slightly more chicken per person than the others. (ABC News) The finished product: "GMA" made the Chicken Marbella meal from Blue Apron. But Amazon had its own win with the recipe selection being more international and something the Kelly family said they would never have had the nerve to cook on their own. 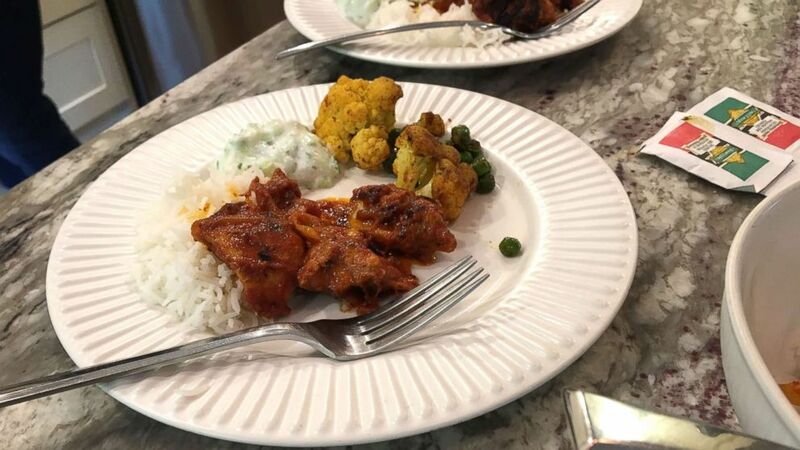 (Courtesy Matt Weinberger) The final product: "GMA" made the Chicken Tikka Masala dish from Amazon's new meal kit delivery service. Weinberger said "everybody is a winner," when it came to his top pick for taste. 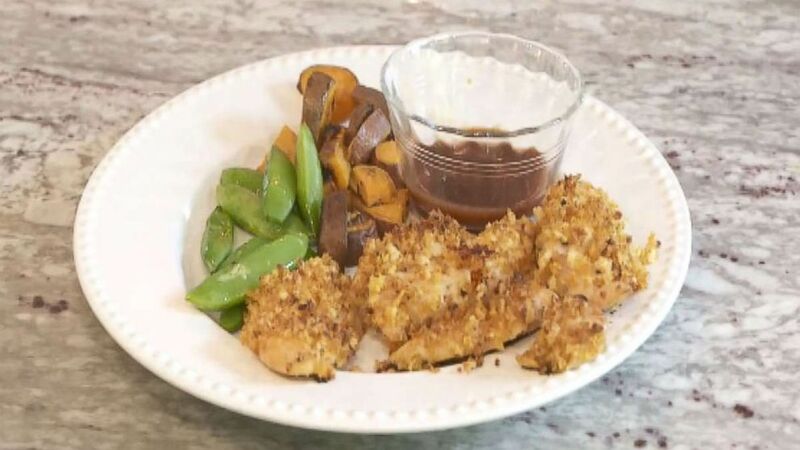 (ABC News) The final product: "GMA" made the Barbecue Chicken Tenders from Hello Fresh.